1. The question does not concern the use of instrumental music in private, nor its use on extraordinary public occasions—about which I have nothing to say here; but simply its use in the ordinary, public, and divinely instituted worship of God. It is against this use I protest. And this argument is not intended so much as a general one, upon the widest grounds, but rather as a special one, addressed to Presbyterian people, professing Presbyterian principles. 2. The Presbyterian people of America, and those from whom we are descended in the old countries, and most particularly those of England, Ireland, and Scotland, from whom, more especially, we have received our hereditary faith, have always, and under all circumstances, as a body, and as a grand department of Christ’s Church in this world, abhorred and rejected every human addition to God’s word. God’s ordinances, and God’s worship: they have considered this principle fundamental, not only in Presbyterianism, but also in Protestantism, and in Christianity: they have endured all manlier of persecution, and death itself, in defence of this principle; and they have, in mind, in heart, in faith, and in life, as a body, considered this principle applicable to, and utterly preclusive of, the use of instrumental music in the instituted public worship of God; and upon this point their testimonies are clear and abundant—against Papists, Prelatists, Lutherans, and all errorists. 3. Persons who seek, openly or covertly, to undermine or to corrupt the faith or practice of our church, founded upon that grand principle, as, for example, by the introduction of instrumental music into our churches, ought to be able to show much more than that such practices are indifferent. They ought to be able to show that they are necessary; for, if they are only indifferent, the positive, general, and long continued settlement of the sense, feelings, and faith of the church against them are reasons enough why offensive attempts should not be made to change the order of our worship, merely to bring in things indifferent; especially when thereby divisions, alienations, and strifes, and at last schism may be the result. And, moreover, the needless change of the habits, manners, and ordinances of a people, or a church, is always attended with a risk of corruption, which nothing but necessity can justify. And where it is a change from a simple and spiritual ordinance to a carnal and sensual one, the attempt is wicked. And where, by the change, a people give up and set aside some of the most precious and distinctive peculiarities of their hereditary manners and history, and fall into a frivolous and contemptible imitation of the follies of those in all respects less enlightened than themselves, the whole affair is deplorable. 4. It is contrary to the covenanted church standards of the Presbyterians to make such innovations and changes as these, and to make them in this manner. It is for the whole church, not for each particular congregation, to settle and determine every thing of this sort; it is for the standards of the church, in a formal and final manner, and not even for Synods and Assemblies, by mere casual votes, much less for a few busy-bodies in congregations, as is generally the case, to introduce changes in the parts of spiritual worship. 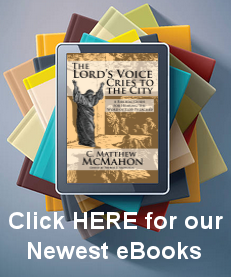 According to the faith of our church, clearly laid down, singing is the proper, Scriptural, and public mode of the praise of God, specially so called; and instrumental, mechanical, and artificial noises of machinery, are not once alluded to, but are, by the very force of all the terms and definitions, excluded as any allowable part of God’s praise in the stated worship of his church. That all this is the fact, let any one consult the whole spirit and the special definitions of our standards; the testimonies of those who composed, and those who have the most honoured them; and the constant faith and practice of the nations and churches that have received them. During the very sessions of the Westminster Assembly, which composed our standards in their present form, the Long Parliament passed an act, under advice of the leading members of the Westminster Assembly, declaring the use of organs in churches to be a part of idolatrous worship, and ordering every one to be removed. And their universal disuse by all the reformed churches, that is all the churches that were neither Prelatical nor Lutheran, had the same sort of reason as the rejection of chrism and salt in baptism, the refusal to kneel at the Sacrament of the Supper, and similar Papal superstitions and idolatrous practices; and in proportion as the reformed have kept up the spirit of the reformation, they have kept clear of such things. 5. But the grand objection to the use of instrumental music, in the manner herein objected to, is that it is contrary to the express will of God, as shown by his positive institutions for his own praise. There are but two grounds upon which Protestants can proceed in determining every question of this sort. One is the absolute sufficiency and completeness of the Word of God, which is the doctrine of the reformed; the other is the general sufficiency of the Word, but the allowance of many things to ecclesiastic, civil, or personal choice or freedom, as being not fully or at all settled in the Word, which is the doctrine of Prelatists or Erastians. Now, without descending to minutiae, the former of these two grounds is the unquestionable faith of Presbyterian churches in general, and of our church in particular. And we hold that as in the doctrine so also in the government, and so also in the worship of the church, she is held strictly to obey the ordinance of God, and has no more right to add to, or to take from, what Christ has set up in the order of his worship than in the form of the government, or the substance of the faith he has revealed to men; and any attempt to do so, whether ignorantly or perversely made, is to he resisted as an encroachment on the divine and exclusive headship of the Son of God over his own heritage; because, the principle once established, Prelacy, Erastianism, or any other form of will-worship, has an open door. Now, that Christ has instituted a stated public worship for his church, no sound Presbyterian. doubts. That the parts and particulars of that. worship are, 1. The public reading of the Word; 2. The public preaching of the Gospel; 3. Public prayer to God; 4. Public benediction of the flock of Christ; .5. Public praise of God by singing; and that there is no other ordinary and stated part or particular of the divinely instituted worship of the church is all most clear and certain in Scripture; and most clearly defined and held forth in our covenanted standards as of divine appointment. The Papists corrupted every one of these parts and particulars of God’s worship: they suppressed the Scriptures, they gave up preaching, they prayed to saints, and they prayed in an unknown tongue; they turned the official benediction into an incantation and mockery, and they corrupted God’s praise by singing mass, accompanied with music on the organ! At the Reformation, all those corruptions were abolished, and a pure worship restored; and now we in America are tempted and cajoled, on various pretexts, to begin once more the original process of corrupting this divine worship, by commencing at the very part of it in which alone every human being can take a direct, active part; to wit, the praise of God; for in singing alone, of all parts of worship, can every follower of God take an active, public part. How great is that subtlety of error and delusion that always attacks us where the attack is most plausible, and, if successful, will be most fatal! For here, as soon as the sensual, mechanical praise has substituted and silenced the spiritual, personal praise, the people have ceased from their only direct participation in God’s worship! A human device, under pretence of honouring God, has corrupted his worship in such a manner as to rob Christ of the public praise of his children, and to rob Christ’s children of access to him in public praise! In return for which tremendous evils, all it professes to he able to do is to elevate our imagination and refine our taste. But the divine plan it supplants could sanctify our conscience, and fill our souls with joy and peace! 6. Here, then, is the outline of the argument in its simplest form: The use of instrumental music, of any sort, in the stated public worship of God in Presbyterian congregations is, 1st, contrary to the ancient and settled character and habits of Reformed Christians, and especially of those holding the formularies of the Westminster Assembly, and involves defections and changes most deplorable to them: 2d, It is contrary to the covenanted standards of the Presbyterian church in the United States of America, both in the general principles and spirit, and the particular definitions and provisions thereof, and involves a breach of covenant: 3d, It is contrary to the revealed will of God, as exhibited in the positive institutions for his public worship set up by himself; and involves rebellion against his divine authority. As it regards the use of the particular instrument commonly resorted to, the organ, two general reflections, very different in their character, may be suggested: 1. If one church has a right to introduce one instrument, another church may of course introduce any other, and a third church may introduce any combination of instruments; the end of which would be, as indeed we already see exemplified to some extent in several true and several erroneous bodies of professing Christians, utter confusion, and the general reign of disorder and indecency. And, moreover, the same pretended Christian liberty, and the same pretext of accommodating the church, to the progress of refinement, which are the pleas for the use of musical instruments, may be just as wisely and as urgently used for any other imaginable innovation upon the order of God’s house: and other pretexts just as good as these; for instance, the pretext to give greater energy to the means of grace, or greater efficiency to the preachers of the Gospel, may be used as reasonably as those, and have been used, to the unspeakable injury, of God’s church, in various matters besides church music; for instance, in all the new measures which have desolated the church so often, and in all the methods of putting unqualified and unconverted men into the ministry of various sects which are desolating it still. 2. The other reflection is this: that above all instruments the organ is liable to this great objection, to wit, that it has been, more than all others united, the great engine in corrupting the public praise of God, and has been, for centuries together, one of the peculiar devices of the Papists to seduce mankind into attendance upon their superstitious and idolatrous worship. It is a clear and divine principle to which the special approbation of God has been set; as for example, in the order to destroy the brazen serpent, that things in themselves indifferent, or even commendable, become unlawful after they have been made instruments of dishonour to God, or peculiar temptation to men; and that, to escape the sweep of this principle, it must be shown that organs are positively necessary of themselves, or that their use is required by God in his Word. As neither of these is pretended, it follows that even if all other musical instruments were lawful, there are special reasons which exclude this; and this has been the temper and conclusion of the Reformed Churches on this point. 7. Here the direct argument might stop, as being in itself complete, and as having, in a manner, exhausted the subject; but those who urge this innovation seek to escape the force of what seems to me to be a crushing demonstration against them, by resorting to the usages and institutions of other portions of the Christian church besides our own, and especially by resorting to the usages and institutions of the Jewish church for support. It may be needful to point out how slender that support is. And, first, as to the practice of other Christian churches. My first remark is that, for four or five centuries after Christ, musical instruments of all sorts were excluded from every Christian congregation; as, beyond all question, they were excluded from all participation in the services of the blessed Lord and his Apostles, and from all the churches founded by all those Apostles. My second remark is, that the gradual introduction of them was concurrent with the gradual corruption of the church in all other respects, and was resisted and denounced by the wisest, holiest, and most learned of the fathers then alive, whose testimony we have still in our hands. My third remark is, that the use, or refusal to use, instrumental music in God’s stated public worship during that long midnight—from the establishment of Popery to the Reformation—in the various subdivisions of nominal Christians throughout the world, who were not subject to the Papacy, is perhaps as accurate a test as any other of the real condition of those sects; and whoever will inquire will see that whatever piety was in the world was mainly with those who disagreed with Rome on this subject. My fourth remark is, that at the Reformation, and ever since, those portions of the professing people of God who renounced, and have continued to renounce, most thoroughly and most tenaciously, the corruptions of Rome on this subject, are those sects and denominations which, out of all comparison with others, have been most orthodox, most faithful, and most alive to the glory of God. My fifth remark is, that any change which has taken place since the Reformation, in any of the Protestant denominations, indicating a relapse towards Rome, in the use of instrumental music in God’s public worship, will be found to have been uniformly attended, in those denominations, by other changes injurious to their spiritual condition, which, though not very obvious at first, have worked themselves out disastrously in every case. My sixth remark is, that all these facts can be shown to be, in their own nature, inevitable, and were, and must forever be, consequent upon the conduct and principles which produced them; and that, while human nature remains as it is, and the religion revealed in the Bible what it is, there is an absolute certainty they will occur again as often as the rebellion against God, of which they are the product and the index, shall occur. My seventh remark is, that in this, as in other things in which we differ from other professed denominations of Christians, our business is not with their consciences, but with our own; judging them as far as we may in charity—leaving them to stand or fall to their own master—speaking the truth in love, but with perfect freedom—we bid them follow their convictions, and we will follow ours. 8. As to the Jewish church: 1. We are not Jews, nor is our church the Jewish Church, nor was the Jewish church ever the elect, the beloved, and the eternal bride of the Lamb. The Jewish church was a church of God, but it never was the church of God. God had a church in the world long before there was a Jew in the world; and as we know, from God himself, that whole system was, in a manner, transient, restricted, and intercalary, and, as compared with the Christian dispensation, “weak and beggarly.” Even, therefore, if we should admit that the Jewish ritual was made up solely of instrumental music, and that the whole Jewish public worship consisted of performances on musical machinery, it would not prove that all that was even the smallest lawful part of our Christian worship. 2. If it is answered that it would at least prove that a worship of that sort could not be wrong in itself, seeing that God instituted it, I reply that no one ever imagined that the thing was wrong in itself—if by that is meant wrong without respect to God’s will concerning its nature and use. But that is mere trifling, for the whole question is, What is its character, as a part of God’s worship, determinable by God’s will? They answer, God allowed it to the Jews. We reply, and suppose he did, and has since denied it to the Christian, what has the allowance to the Jews to do with the question?—may not God, and has not God, revealed his purposes for his own glory; not all at once, but little by little? and may he not have liberty to regulate his public praise in a manner corresponding with the particular point reached in the development of his glorious plans? Let any one read over carefully the Epistle to the Galatians, and then he can form a better judgment off the true nature of that state of mind in which, under a pure, simple, and spiritual dispensation, we sigh for the carnal and sensual elements of a dim and shadowy one, from which we have been delivered. 9. But, in point of fact, there is no evidence that the Jewish church used instrumental music in the stated public worship of God; although, as 1 have shown under the next preceding paragraph, to admit that it did decides nothing. The religious institutions of the Jews are exhibited to us under several very distinct aspects: as, 1. A system of types and ceremonies, whose great design was to foreshadow the pure and spiritual system which we possess. 2. A sacrificial system, specifically exact, and in a manner wrought into the heart of the system mentioned above, whose especial object it was to exhibit the atoning sacrifice of the Saviour of the world. 3. A system of moral instruction, by means of which the Jewish church was taught by the word and ordinances of God, as we are now taught the way of salvation. Of these three systems, the second and third were social and public, exclusively. The tabernacle first, and afterwards the temple, was the exclusive place at which the stated public sacrifices were offered up; each one in its turn the centre of the Jewish sacrificial system. But in every part of the whole land of Israel, the synagogue lifted up its head to heaven, and the Jewish people throughout all their generations, in all their borders, assembled in their synagogues ever Sabbath-day to unite in the public worship of God Now, I assert that there is no evidence that the use of instrumental music formed any part of the public and stated worship of the Jews either in their temple or their synagogue worship; but that there is much evidence the other way. The very nature of the sacrificial system of the Jews, was incompatible with the stated use of music of any sort in direct connexion with it; and it is positively certain that instruments of music formed no part of the divinely-appointed means, or utensils of the tabernacle, or temple service. For every thing lawful to be used in every part of that service, by every person any way connected with it, is expressly recorded in the Bible; and every thing else is forbidden to be used, or even made; and yet no musical instrument is ever mentioned as amongst them, or connected with their use. We have four catalogues preserved by God, in his word, of every thing made according to the pattern shown to Moses in the mount—catalogues embracing the minutest as well as the most important thing; but no allusion is made to any musical instrument; The temple service of the Jews, which was full of Christ to come, had no such machinery. As to the synagogue system—that system after which, both in its model and in its objects, the Christian church was confessedly and undeniably formed—it allowed no instrumental music. Probably in the tens of thousands of Jewish synagogues which have covered the earth during the whole career of that wonderful people, not one can be found in which a congregation of enlightened Jews, who adhered to the institutions of their religion and their race, allowed any instrument of music, much less an organ, to form any part of their system of the public worship of God. 10. These statements may excite surprise in those who have not paid attention to the subject. And it may be demanded, what are we, then, to understand was the exact position occupied by instruments of music in the religious system of the Jews? To this various replies may be made: 1. It is not at all material to the question now under discussion, what position they occupied; the only thing needful to be shown being, that they were not a part of the stated worship of God. 2. The greater the obscurity concerning their proper place and use, the greater the absurdity of making their place and use, in the Jewish system, control the nature of the Christian system of public worship. 3. It is for those who cite their use to justify innovations on our established and covenanted ordinances, to be able, at least, to show us clearly and certainly, that the Jewish use they rely on, was contrary to our ordinances. 4. It is manifest that if this Jewish use could be shown, and when shown had the weight attributed to it, the argument would be far deeper and broader than merely to justify the proposed innovation in our churches; it would render that innovation an absolute and universal duty. For if God established amongst the Jews, as a part of his stated worship, the use of organs, or other similar instruments; and if he has done nothing since to change that institution; then it is still universally binding. 5. But not to leave the point wholly in the dark, as to the Jewish use of instruments of music in God’s worship, I suppose that use was chiefly as follows: First, on great and extraordinary occasions, such as the dedication of the Temple—the bringing up of the ark of God—national rejoicings, and the like. Secondly, on the occasions of the assembling three times every year of the whole Jewish people at Jerusalem, to celebrate their great annual feasts—the tens of thousands of Israel, in their vast processions through the city, chanting, as they ascended to the Temple, the “Songs of Degrees,” accompanied by the sound of hundreds, perhaps thousands, of harps, psalteries, cymbals, and the like. Thirdly, in the meetings of the Priests, Levites, and others exclusively devoted to a religious profession and service amongst the Jews; official meetings, so to speak, for prayer and mutual instruction, instrumental music connected with sacred praise, seems to have been an object of special attention; and what is said in the two immediately preceding heads, shows how natural and important this would be. Fourthly, on the whole, the system of instrumental music, for religious uses, amongst the Jews, was no part of their synagogue system, and no part of their Temple system—but seems rather to have been an offshoot, connected incidentally, but intimately, with their great sacrificial system in its combined aspect, as a system at once religious and national. And it is to be remembered, that it was not Moses, nor the prophets,—but it was David who arranged the whole musical economy of the Jews, whatever it may have been; David, the King, as well as David the Psalmist—as the latter composing divine songs for God’s people in his own and all other ages—as the former suiting the use of instrumental music to them, in the peculiar aspect of his own people, considered in a religio-national point of view,—and not as either, strictly speaking, Temple worshippers, or Synagogue worshippers. 11. We profess to be Presbyterians. The example of Christ and his Apostles—the teachings of the Holy Spirit in those portions of the New Testament expressly devoted to this particular matter—the faith of the whole Christian church for centuries after Christ, and until that faith was corrupted by the incoming of Antichrist—the doctrine of those who loved Christ most during the long ages of Papal apostacy—the united testimony of all the Reformed, strictly so called, the covenanted faith of our ancestors, and of our immediate religious standards; these are the grounds on which we defend our steadfast refusal to corrupt the public praise of God, by human additions. Now in all that has ever been written or said in favour of a contrary practice, can enough be found to outweigh the very weakest of these arguments? Surely it is a pitiable folly, that wise and good men should allow themselves to connive at the defection which is spreading all around us, and which a firm and concerted opposition could, at present, so easily arrest. And surely it is a fearful responsibility which they take upon themselves, who foster and promote amongst us the spiritual leprosy, whose existence is at once indicated and strengthened by this form of opposition to God’s ordinances, by God’s professed followers. For twenty-two years, during which I have been an office-bearer in the Presbyterian church, I have seen a gradual declension of sound doctrine in that church, on this subject. The declension increases in its rapidity and its power. It has been a sore vexation to me, that some of my nearest personal friends have countenanced and advanced this incoming desolation. For myself, I have never ceased to testify against it, and to increase the directness and force of my protest, in proportion as I have seen the evil increase; so that for many years I have refused even to be present, much less to preach in any Presbyterian church, where musical instruments were used—except they were silenced when I officiated. In most cases, my brethren in the ministry have respected my conscientious scruples: in many others, and some of them very painful cases, they have refused, and thus excluded me from their pulpits—and some of them, in addition, have reviled me bitterly. In all this, and for years together, no man has stood fully with me. Now in protracted confinement, and sore sickness, I am applied to by members of three or four of our most important Kentucky churches, in all three of which are many worshippers very dear to me,—to draw up the heads of my objections for their use, in examining what their duty may require; seeing that organs have been lately introduced into all three of the churches alluded to—; and I have in this paper,—with much suffering, and as my circumstances allowed, briefly complied with the request—and therein, substantially, with manor similar requests heretofore made of me.—It may be my last public testimony for the Lord Christ—my last service for a church in whose behalf I have been sent. May He in whom is all my hope, not allow it to fall like water upon a rock. Lexington, Kentucky, Dec. 30th, 1851.